CHICAGO (WLS) -- Friday marks the 14th annual Winter Bike to Work Day in Chicago, for riders who don't let the cold put a stop to their active lifestyle. 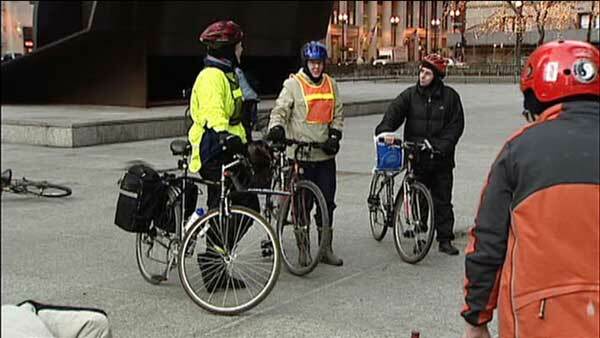 Cyclists met in Daley Plaza Friday morning to have coffee and cheesecake with other bike riders. They also had the opportunity to sign up for MB Financial Bank's Bike the Drive on May 24. CLICK HERE TO REGISTER Registration is open through Feb. 2.